A film shot by Jaye Alison Moscariello, featuring local dancers/choreographers Eryn Shon-Brunner, Nathalie Meuniot, and Melany Katz. Music by Bill Taylor. 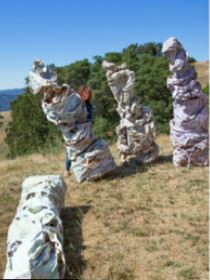 Moscariello is a multi-media artists residing in Redwood Valley on Floodgate Farm.